What a great way to introduce children to the underwater world, let them learn and experience in a safe environment by themselves or even celebrate a birthday by throwing a memorable, exciting Bubblemaker party with friends and family. It's fun, easy and safe. 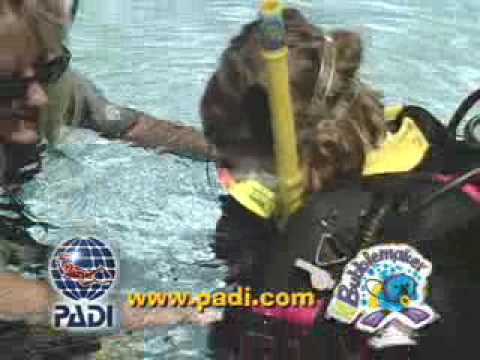 Youngsters can join in the family fun of scuba diving! Children should be comfortable in the water, but they don't have to be super swimmers. With youngsters in mind, the maximum depth is only 2 metres/ 6 feet. Children use all the basic scuba gear, which is made for their size and stature and learn how all the different parts come together so that they can use it all underwater and let the fun start! Are they ready to blow bubbles? Then they'll need themselves and all else is provided by us here at Scuba Shack, for any more information then please contact us and we'll be happy to help.